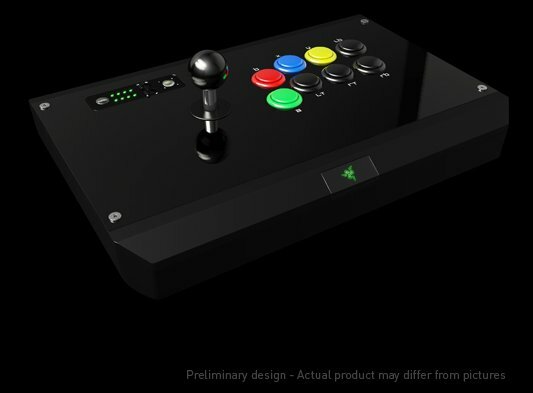 Razer reveals a prototype of its upcoming Xbox 360 Arcade Stick, a new peripheral designed for games like Street Fighter IV. Razer™, the world leader in high performance gaming hardware, just announced a program to co-develop the ultimate arcade stick for the Xbox 360® together with the arcade stick community. The arcade stick, developed with pro-gamer feedback, is currently at the prototype stage. For the finishing touches, up to 200+ specially selected top-seed Street Fighter™ IV pro-gamers, influential modders, and members of the arcade enthusiast community will each be given a Razer arcade stick to test and provide feedback to further improve it to perfection, whereupon the final design will then proceed to production. Since the company’s beginnings in ’98, Razer has continually taken pro-gamer feedback and validation during the product development phase to ensure that the design for every gaming product shipped is the absolute best for the competitive edge in tournament-grade play. But in an unprecedented move in the gaming hardware space, Razer is now reaching out to the entire arcade stick community to help make this yet-to-be-named product the best arcade stick in the world. Their feedback will be a huge influencing factor in the design of the final product. Members of the arcade community worldwide interested in participating in this beta program are encouraged to contribute ideas at www.razerzone.com/bredtofight, along with a short description as to why they should be selected for prototype testing. Registrants can also nominate other people to the program. Up to 200+ successful applicants worldwide will receive an arcade stick prototype delivered directly to their homes.